When you think of a home’s structure, chances are you picture the walls. House walls create the visual style and identity off your home’s interior. The main building blocks of a home, house walls not only provide a barrier between indoors and out, but they also support the ceiling and roof and divide the indoor space into rooms. Walls are the surfaces in our homes that partition our spaces and provide a sense of enclosure. Of course, house walls are not strictly utilitarian. They are also the fundamental elements of the look and feel of a home’s interior, providing the canvas for color, texture, and artwork. Dealing with walls is fundamental to many home improvement projects. Beyond the obvious decorative jobs such as painting and wallpapering are such tasks as opening up or removing interior walls and building new walls. In this section of HomeTips, you will find loads of information on wall-related tasks, from repairing small holes in drywall to how to panel an interior wall. Most homes today utilize drywall for interior wall construction because it is lightweight and inexpensive, though some high-end home construction still uses lath and plaster. 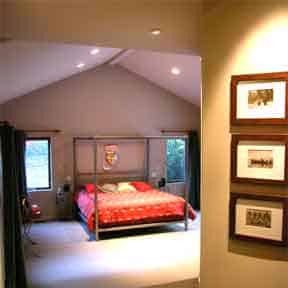 In the Wall Materials Buying Guide, we discuss the virtues of drywall vs. plaster and also guide you through what types of wall fasteners to use on which types of wall and depending on what you are hanging. 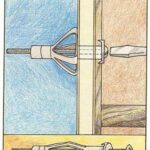 Through illustrations and diagrams, we take you through the basic structure and framing of a wall, construction techniques for drywall and plaster, as well as techniques for paneling a wall. We also define some of the terms used in wall construction, such as cripple stud and jack stud. Because walls are, well, everywhere in a house, they can incur occasional damage such as dents, dings, and holes. But the biggest culprit is a house “settling,” which can cause cracking. 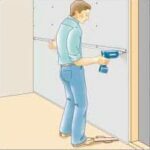 In this section, you will learn about drywall repairs, plaster repairs, and wall paneling repairs. Many remodels involve “moving” a wall or creating a new one. As long as the wall will be non-load-bearing, this is a project within the abilities of even a modest DIYer. In this section of Walls, you’ll learn how to frame and panel a wall, how to open up a wall, and how to find wall studs and framing if you want to remove a wall.